Who doesn’t want younger looking skin?! Sign us up! 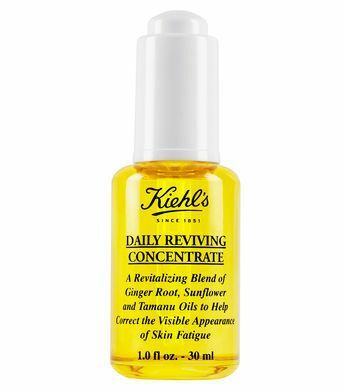 It’s the Daily Reviving Concentrate from our friends at Kiehl’s. With a blend of special essential and botanical oils, your skin will just soak up the proteins and lipo-soluable vitamins (e.g. Vitamin E and A) that will help strengthen and protect your skin from free radicals that cause premature skin aging. It has a wonderful citrus scent and is readily absorbed without any greasiness. After cleansing, apply only a couple of drops of this concentrate, followed by your sunscreen, and you’re set for the day. Another fabulous Kiehl’s product to add to our TrailblazerGirl beauty routine!